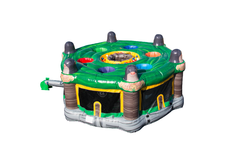 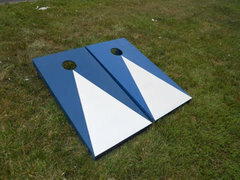 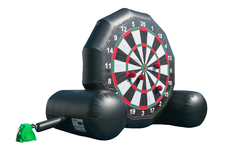 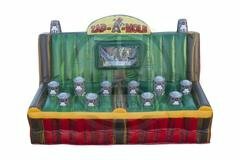 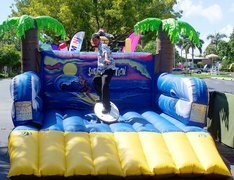 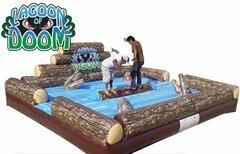 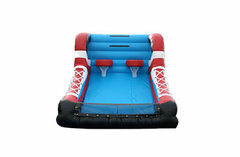 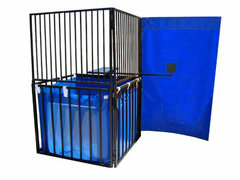 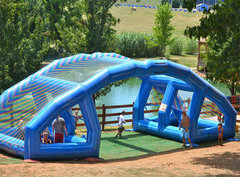 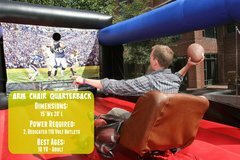 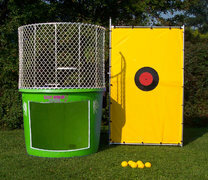 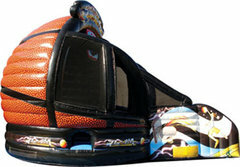 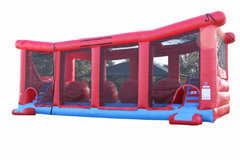 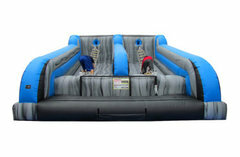 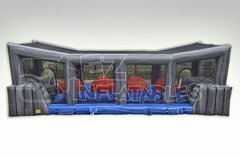 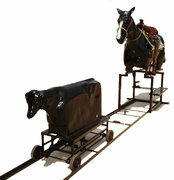 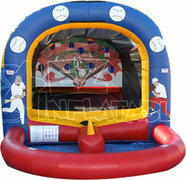 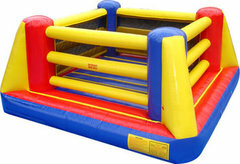 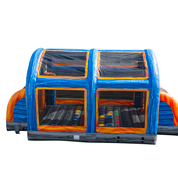 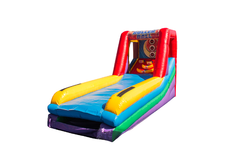 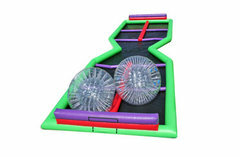 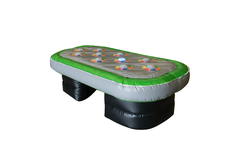 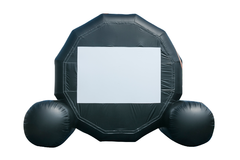 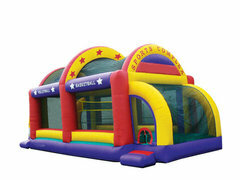 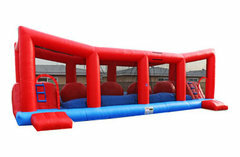 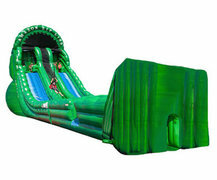 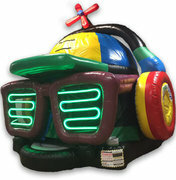 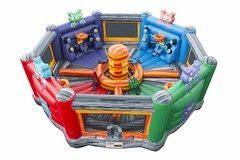 Premier Bounce N Slide is happy to contribute to active kids through all of its interactive inflatable offerings. 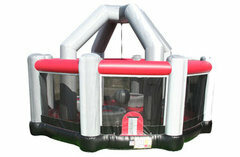 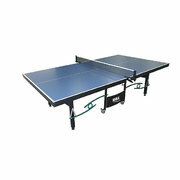 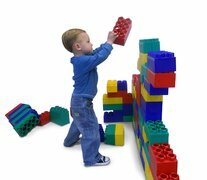 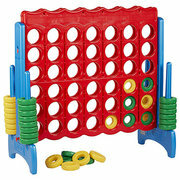 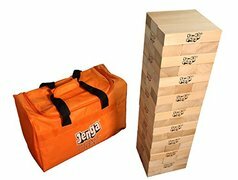 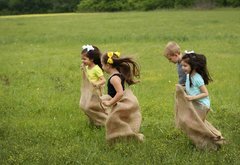 We get your kids out in the sunshine and fresh air, jumping, bouncing and interacting with one another. 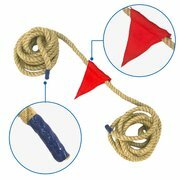 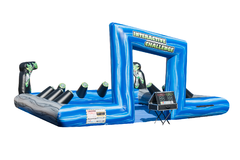 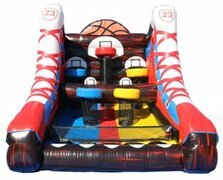 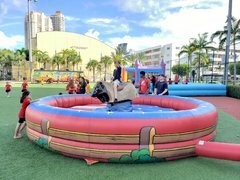 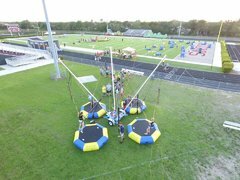 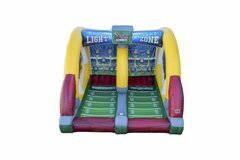 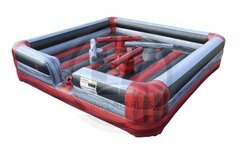 Our sports bouncers take active engagement up a notch, and In addition to basketball in many of our inflatables, we offer custom creations that add obstacle courses, tall slides, dramatic drops, volleyball, soccer, dodge ball, and … wildly popular zip lines! 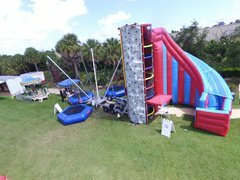 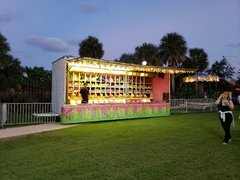 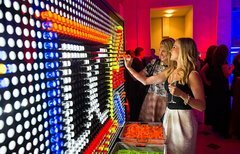 Our structures are immaculately cleaned, maintained and routinely tested to ensure the safety and ultimate fun of each and every participant.